Been awhile but it seemed like a good idea to ride the Goat Trail in Keystone Canyon with local Brian Teal this last Sunday. I rarely hear of anyone riding the route and based on my experience yesterday, you are missing out on one of the better mountain bike routes in Valdez. Sure you have to heave your bike onto your shoulder in a few spots to get by small rock piles, but 95% of the trail is rideable all the way to Snowslide Gulch, where the trail is pretty much washed out, thus unable to continue on to the 18-Mile trailhead. Give yourself a few hours to do the ride knowing that at one time in the early 1900’s, someone rode their bike from Valdez to Fairbanks. 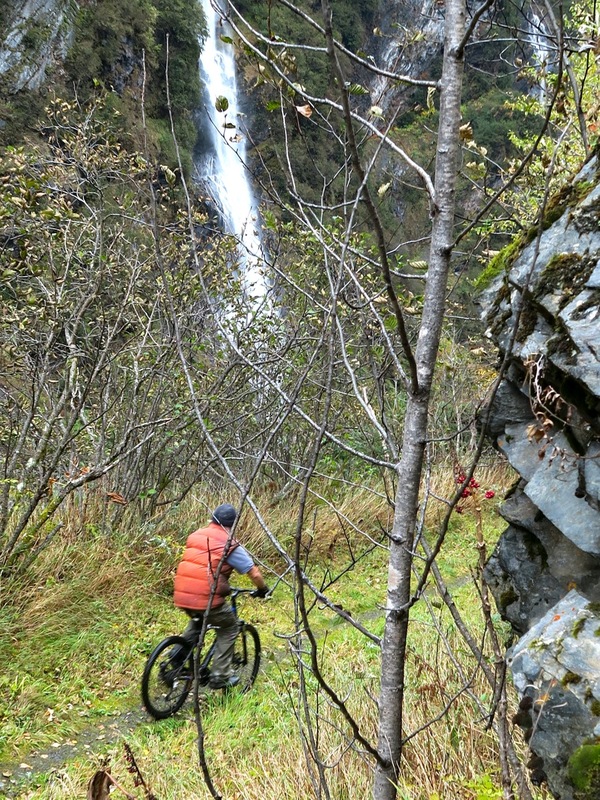 Carved by the early pioneers of the Chugach, the trail stays high above the Lowe River and offers great views our wonderful waterfalls. 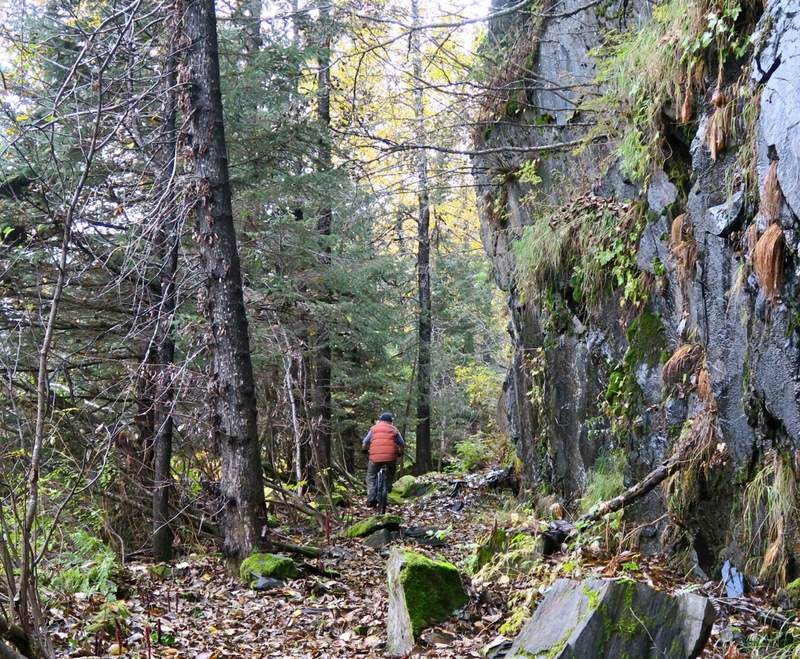 We were able to ride the cliffy traverse just before Snowslide to add some thrill to the ride. The uphills are gentle and with a bit of hand labor moving a few boulders off the trail, this could become more popular as a challenging ride. 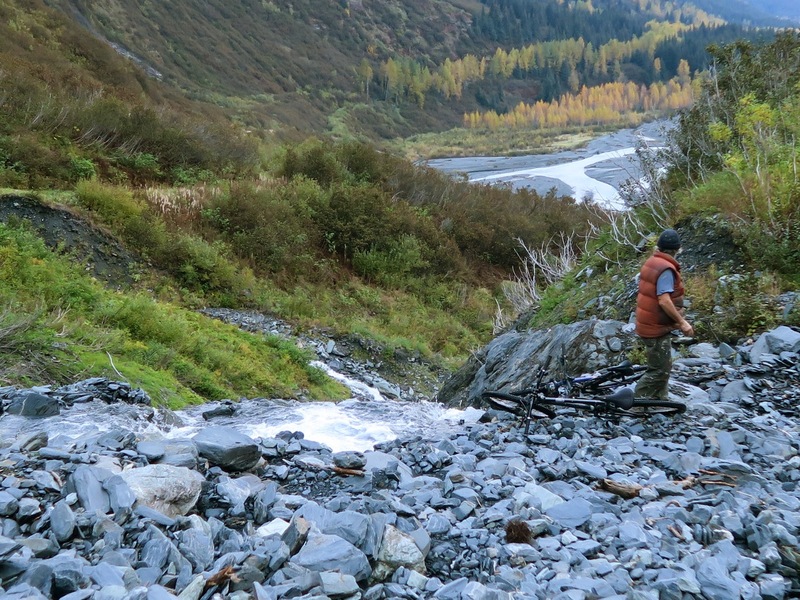 There are roots to hop, rocks to struggle over and a few creeks to get your tires wet. It’s not easy, but it’s not hard. With the snow line moving down the mountains and closer to my ski tips, getting outdoors and exploring the local area under the beautiful colors of Fall, keeps my powder jitters at bay. 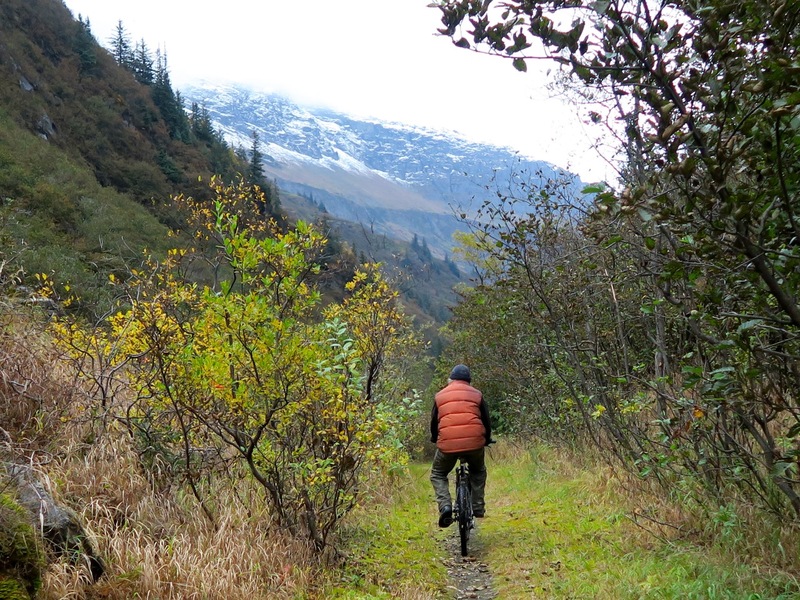 What we lack in good single track routes can be made by getting creative, whether it’s rolling over tundra on the Pass or barreling your bike in Mineral Creek. There is even more terrain at low tide! So burn fat, not fuel and enjoy the Chugach!